Students - I have always liked the sound of this word, TEEPEE. Did you know that it can be spelled TIPI or TEPEE? It is very interesting to see how words can be spelled different ways, and I hiked around my dictionary checking out these three different spellings. My first idea for today's poem was, "Don't go peepee in the teepee!" Maybe I will write that verse another day, my first Native American potty training poem. Did you ever wonder how children in the past were potty trained? There is just so much that we don't know. Now I want to look that up! It is fascinating how one thought leads to another. Sometimes my own silly brain just makes me laugh! When I snapped out of bathroom-humor-mode, I decided that to still play with rhyme. And I fell in love with the rhyme of TEEPEE/SLEEPY. I used one of my trusty little rhyming dictionaries to help me find WEEPY, and I also found CHEAPIE and CREEPY, but neither of those fit the cozy tone I wanted to create. 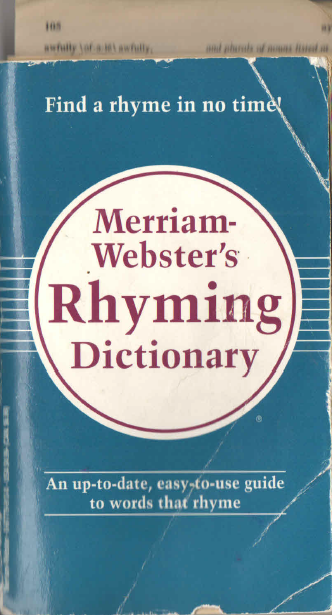 If you do not have a rhyming dictionary of your own, I think you should take one out from the library or ask for one for your birthday. 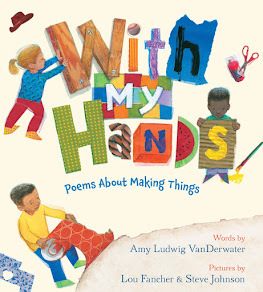 Not only will you find all kinds of perfect rhymes, but you will also have another word book to love. 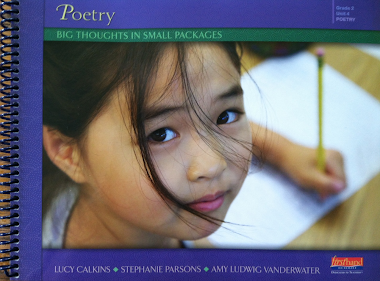 The winner of Friday's giveaway of Sylvia Vardell's THE POETRY TEACHER'S BOOK OF LISTS is Paul Hankins! Congratulations! 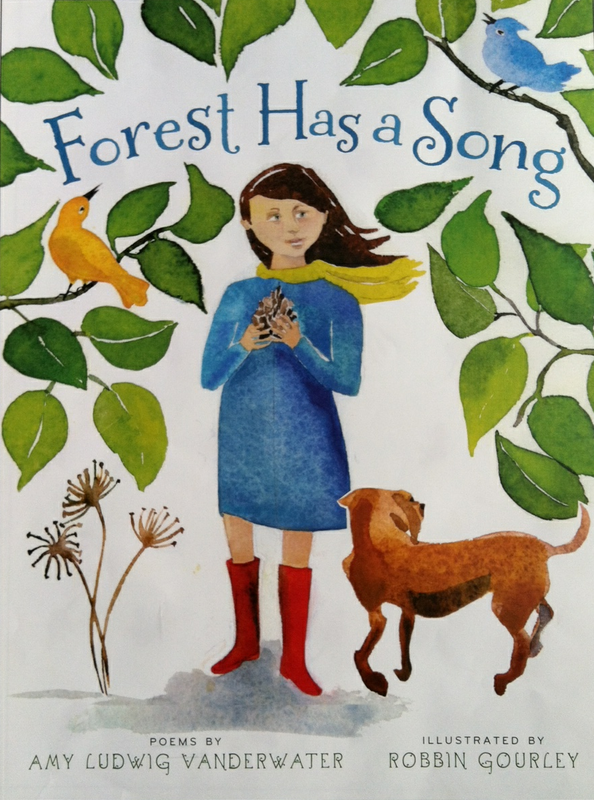 Please send me an e-mail with your snail mail address to amy at amylv dot com, and I will get your book in the mail. Tonight is World Book Night. This means that, weather permitting, I will be handing out 20 copies of THE IMMORTAL LIFE OF HENRIETTA LACKS, by Rebecca Skloot, as a Book Giver. If this winter storm is too nutty, though, these books will find their homes tomorrow or Wednesday night. In case you are new to The Poem Farm, this month I am walking, letter-by-letter, through the dictionary, (closed-eyed) pointing to a letter each day, and writing from it. 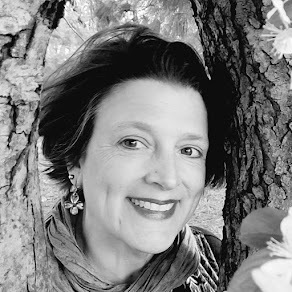 You can read poems A-S by checking the sidebar, and you visit Lisa Vihos and read her accompanying daily haiku at, Lisa's Poem of the Week. 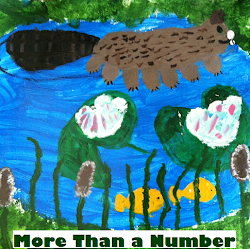 In today's comments, watch for Lisa's Haiku and also Christophe's haiku. It is lovely to poetryhike with new friends. Hi Amy! Good to be back on the hike. 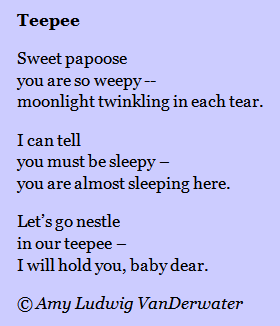 I decided to write my haiku before reading your poem this morning, and I think it is neat that we both imagined the teepee as someplace cozy, (and used the rhyme with "sleepy.") A teepee is never creepy. I do love what you have done with the poem though. I read it as a gentle lullaby and wish that it had it's own little tune. We read Teepee today. There was not one child in the second grade group at school that knew what a papoose was. That word was key to the comprehension of the poem for them and it led to a great discussion about the meaning of the poem. 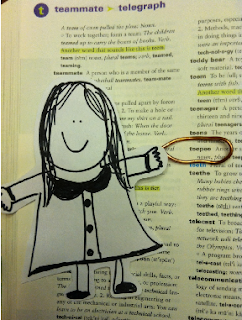 Your alphabet hike is helping us to build vocabulary and understanding that we usually don't discuss. I think you should go ahead and write "Don't go peepee in the teepee!" Very funny! I loved what you did....very sweet. "sweet papoose" Nice phrase to start everything off. Got me hooked immediately.